GSC Power Division 6000 Series Camshafts - Pann Auto Performance - San Diego largest aftermarket automotive performance parts - What do you drive? 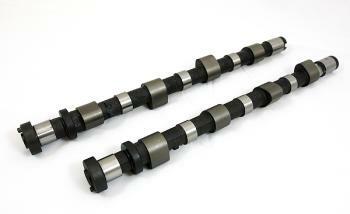 Power Division High Performance Billet Camshafts. Engineered to offer the absolute best performance and maintain close to stock drivability characteristics. Power Division has stepped into the market with top quality Billet Cores that will perform with or outperform other camshafts on the market. With the wide array of profiles there is a combination to fit your needs. From basic bolt-ons to fully built engines naturally aspired or Turbo Charged. Power Division offers the setup to suit your needs. All the camshafts provide power across the RPM band and can support extreme race engine conditions due to their superb quality. Why run the others, when you can run the BEST!